Looking for a Used V12 Vantage in your area? CarGurus has 50 nationwide V12 Vantage listings starting at $82,996. Psychologists call it “overcompensation,” an attempt to cover up rising feelings of inadequacy. On this side of the water we have a long-standing tradition of stuffing the biggest engine we can locate into the smallest car we can wrap around it – to hell with piddling concerns like handling, braking and comfort. The Brits suffer from no such compulsions, so when they take the same approach, something must be amiss. With competitors constantly shouting from the mainland about how much faster their offerings continually are, it’s no surprise Aston did something drastic. The 911 keeps getting faster, the R8 is a staple on the bedroom walls of adolescent boys, and the Vantage just plods along year after year being merely wonderful. Let’s be honest, the Vantage didn’t need more power. A 420-hp V8 never left anyone in want anywhere other than the track, and the nimble little coupe handled corner after corner with all the grace one would expect from a supercar with nearly perfect weight distribution. In V8 form the Vantage was very simply the best coupe Aston offers. With a 5.9-liter V12 bulging under the hood, it’s ready to invade foreign shores. Stuffing the big V12 into a platform like the Vantage means it does handle quite nicely, even with the extra weight up front. The bigger engine outweighs the V8 by 220 pounds, but Aston has done some work to offset that a bit. It offset 66 pounds, to be precise, thanks to carbon fiber bits all around, forged aluminum wheels wrapped in Pirelli P Zero Corsa tires and carbon-ceramic brakes, which make sure it stops properly, too. In all the V12 ends up weighing 154 pounds more than its V8-powered little brother and sports a 51/49 weight distribution. Comfort isn’t a strong suit here, especially with the lowered and stiffened suspension, but if you’re looking for British comfort cruising, go buy a Bentley. What’s important here is the pragmatic purposefulness of this gentleman racer. The V12 gets no fancy tech like variable valve timing or direct injection, and there are no paddle-shifters on the steering wheel. The suspension doesn’t have a confusing list of settings and options, and the drivetrain doesn’t get in the way of… well, driving. The one exception is a “Sport” button that sits tauntingly on the dash. Push that, and the throttle response will quicken and the exhaust will open up. Your one choice is for more power and noise and vicious brutality. But even so, the V12 Vantage is never vicious or brutal – although that’s not for a lack of trying on the part of the suspension. It’s still a reserved, rounded, truly British offering, even considering the mechanical sound and fury to which you’ll be subjected. For instance, the oft-criticized gearbox of the V8 Vantage has been upgraded here with a solid center clutch that is both lighter and less numb, but you’ll hear a slight clack, clack, clack when not roaring away from a stop. It’s almost self-effacing in its practicality, and that only makes it more British. The fact that an R8 will smoke it in a straightaway and leave you with an extra 40 grand in your pocket is irrelevant. 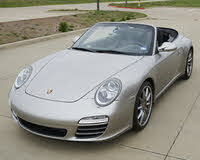 The fact that a 911 Turbo will do the same for even less is also unimportant. Aston had the Vantage, and they had a V12. It just had to be done – that’s a given. That it was done so well is a gift. Maybe overcompensation has nothing to do with it. What's your take on the 2011 Aston Martin V12 Vantage? 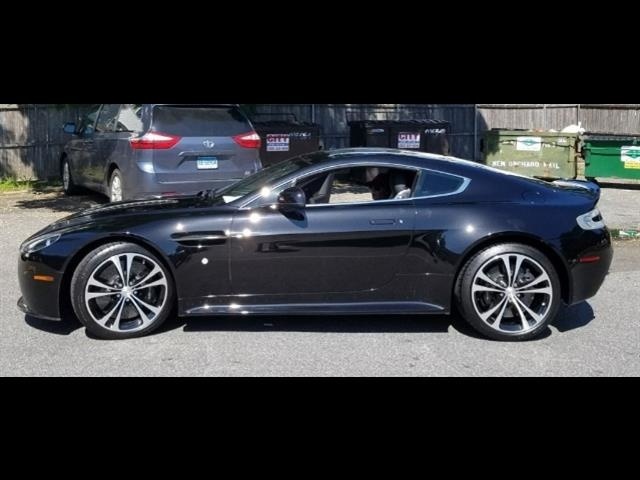 Have you driven a 2011 Aston Martin V12 Vantage?